A video from the webinar held on Tuesday, November 1, 2016, "The Last Untapped Spectrum: Should Industry Care About Terahertz?" Presented by Professor Ehsan Afshari is now available. Please click here to view the presentation slides. Abstract: There is an increasing interest in low cost THz systems for medical imaging, spectroscopy, and high data rate communication. Recent results in the lower THz frequencies (<1THz) suggests that standard CMOS/BiCMOS processes can compete with compound semiconductors for some applications. In this talk, we present a few "real" applications for the CMOS THz systems as well as a few "fake" ones. Next, we discuss major challenges in realizing these systems in CMOS. Moreover, we show several novel methods to overcome these challenges to generate mW-level powers with relatively low noise using oscillators, amplifiers, and frequency multipliers. Next, we show how similar approaches can result in >100 mW at terahertz frequencies using GaN HEMT devices. Finally, we show how we can realize more complicated systems such as 2-D phased arrays and coherent imaging systems in silicon. Bio: Ehsan Afshari was born in 1979. He received the B.Sc. degree in Electronics Engineering from the Sharif University of Technology, Tehran, Iran and the M.S. and Ph.D. degree in Electrical Engineering from the California Institute of Technology, Pasadena, in 2003, and 2006, respectively. In August 2006, he joined the faculty in Electrical and Computer Engineering at Cornell University as an Assistant Professor, and was promoted to Associate Professor in 2012. 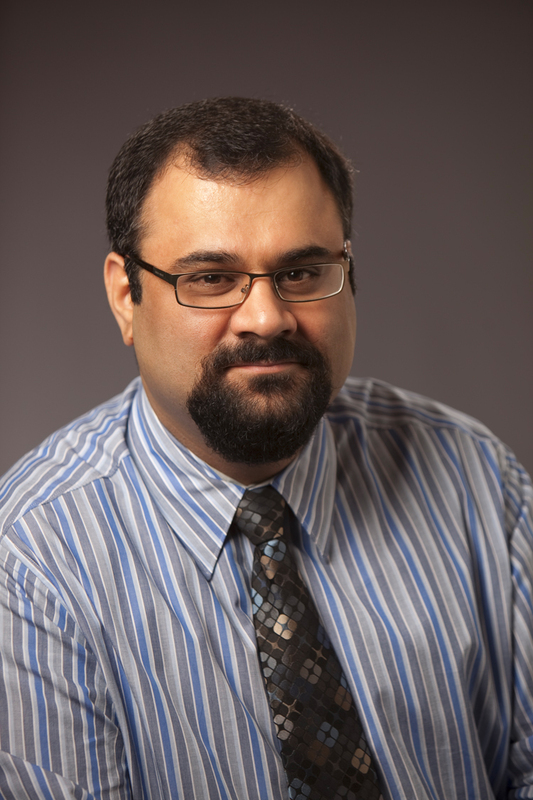 In Fall 2016, he joined the Electrical Engineering and Computer Science department at The University of Michigan at Ann Arbor, as an Associate Professor. His research interests are mm-wave and terahertz electronics and low-noise integrated circuits for applications in communication systems, sensing, and biomedical devices.